The winner of Lithuanian Presidential elections of May 17th Dalia Grybauskaitė considers that there is nothing frightening about Ignalina Nuclear Power Plant shutdown. It’s much more frightening not to be able to establish energy market as well as not to join the energy power system of West. Answering the question on energy independence of the country D. Grybauskaitė said that it’s amusing to hear that INPP produces electric energy costing 6 cents, and people pay for the light in houses several times more. “Everybody perfectly knows that ordinary consumers pay more than West or, for example, more than I pay in Brussels. What use can be made of Ignalina producing power for 6 cents, if there is no energy market, and when people as well as industrial consumers have no choice, when energy to export is cheap, and is expensive for their people, when monopolistic price almost dominates within energy sector, when there is no market”, - said D. Grybauskaitė. “Will Ignalina shutdown change anything? From whom we are energy dependent? From Russia, from those oligarchs, who practically force us to pay more than we could pay provided we had our own energy market or the possibility to buy energy from competing markets (DELFI electric power) if we had no NPP ”, - convinced D. Grybauskaitė. She thinks that we should be afraid of inability of the country to demonopolize the market, to establish energy market and to combine it with Western networks. D. Grybauskaitė states that the war against oligarchy may be started by disembodiment of the national investing company Leo LT – this would be a better political example for all people and politicians. D. Grybauskaitė considers that old INPP, caught into energy clans interests, became the reason of political elite oligarchization which determined specific energy blockade in its turn. That is why Lithuania didn’t invest into the development of alternative energy. The Head of NDX energij company said that Lithuania still remains a part of Soviet system during a talk about transit energy used in Vilnius and Klaipeda. The Director of the Department of Energy System Management Lietuvos energijа Daivis Birbickis states that it’s not profitable to construct sub-plants supplying power to strategic objects of Klaipeda within the territory of Lithuania. “When we asked why electric power is supplied to Klaipeda via Kaliningrad region, power engineers replied that all facilities are tightly connected with Russian electric systems. Moreover, our energy specialists still visit Moscow for consultations”, - says the Chairman of NDX energija Ignas Staškevičius. ”Vilnius receives electricity from Ignalina through Belarus, and North Zemaičiai – from Latvia. The system is managed by Russia and sometimes it is considered as an advantage – Lithuania is a significant part of that system and Russia can’t ignore us. 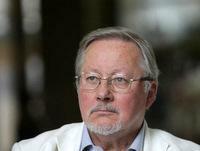 But considering substantially, Lithuania is still just a part of an old system”, - claimed I. Staškevičius. Russia has decided to build an NPP in Kaliningrad region and Belarus - on the border with Lithuania. On August 27th, 2008 “Rosatom” (Federal Agency on Nuclear Energy) published a press-release reporting that the Head of the agency S.Kirienko signed a decree “On organization of construction of Baltic NPP (Kaliningrad region)”. The plant with power capacity of 2400 megawatts will be constructed by “Energoatom”, designed by “Atomenergoprojekt” institute from Saint Petersburg. 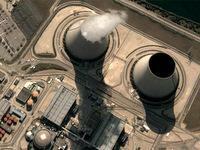 It’s planned to finish up with design projects by the end of 2009, and to commission the first block of NPP in 2015. Specialists of “Rosatom” calculated that Baltic NPP will cost about 6 billion EURO. The financing scheme has been planned as follows: Russia keeps 51 % of shares, remaining part is distributed among investors. Russian Mass Media remind that the electric power plant in Kaliningrad region is a part if V. Putin’s plan: to erect in Russia 26 big NPPs within 12 years, almost doubling the impact of nuclear energy into total capacity of electric energy produced in the country. As V.Putin said it is planed to invest “great funds” into nuclear energy development: almost trillion of RUR by 2015. According to RIA Novosti, it’s decided to start the great nuclear project from Kaliningrad as Moscow is worried about energy security of its Baltic exclave. The neighbors are not that excited – Europe has enough nuclear facilities. However, Europe needs electricity. Europeans are afraid of strengthening of Russia within the region even more than radiation. “NPP in Kaliningrad is a powerful political step of Moscow, the EU doesn’t like it”, - reports RIA Novosti. Lately, Russian energy specialists have specified that “Baltic NPP” project could become regional, including even Baltic countries. The President of Russian Institute of Energy L.Grigoriev stated that after Ignalina NPP shutdown “Governments of Baltic countries have practically no chance to find money to build a new NPP even with European support, regarding world financial crises”. Belarus also plans to build its own NPP. According to the Decree of the President Aleksander Lukashenko of January 31st, 2008, its capacity should be of 2000 megawatt and the beginning of the operation is planned in 2016 (commissioning of the second block in 2018). An EP Vytautas Landsbergis says that the proposal of Latvian President to lay the Nord Stream pipeline along the ground proves the unanimity of Baltic states within the struggle against energy way dangerous for nature. “The proposal of V.Zatlers is a return to reality, refusal of politicking, ressure and orientation on Russian-European business”, - noted politician. “I’m pleased with V.Zatlers’s statement as it proves that Baltic unanimity is still possible.”, - commented V.Landsbergis on the decision of Latvian President during the interview to BNS. He thinks that the alternative proposal on laying the pipeline along the ground is “old and persistent”, but Russia has avoided it willing to omit “non-friendly states”. “They (Nord Stream - BNS) paid 100 million EURO, that is why the answer should be positive, and the construction won’t harm the ecologic situation. But no one can believe this and now we have a view of Latvian President on this problem. He clearly specifies, that it’s dangerous to lay the pipeline along the sea bottom, and even provided all ecologic issues are solved, hardly will Latvia approve this project”, - said V. Landsbergis. “We can fight, and it’s better to fight together. Then Russia can refuse of this geopolitical project and will orient on business and laying of ground pipelines”, - assumes V. Landsbergis. “We hope that if Belarus decides to build an NPP, it will accomplish this project in accordance with the highest international standards”, - said the Head of Lithuanian Ministry of Foreign Affairs Vygaudas Ušackas during DELFI conference. 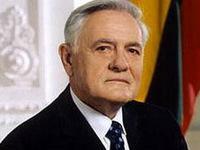 He proved that Lithuania hasn’t still seen any definite plans on paper. “We all connected within energy issue. INPP exports energy to neighbouring states. During the period of its shutdown and construction of a new plant we’ll import electric power. We are consulting with all neighbours over this issue. We haven’t yet seen any definite plans on paper. We hope that if Belarus decides to build an NPP, it will accomplish this project in accordance with the highest international standards”, - said V. Ušackas. Lithuania plans to reduce gas prices on 18-24%, so the price of electric power can reach the level of 2008. Such forecasts were made by Energy Minister Arvydas Sekmokas during online-conference of DELFI. He assumes that the price for electric power should reduce by the middle of the summer for ordinary consumers as well as for economic entities. “I talked to V.Poderis (chairman of State Committee on Pricing and Energy Control - DELFI), he assured, that it’s planed to reduce gas price on 18-24% in Latvia. (...) Soon meetings of shareholders of Leo LT and its subsidiaries will take place. This incited us to reduce tariffs till the level of 2008 for ordinary consumers as well as for economic agents", - said Minister answering the questions of readers. Later he specifies to DELFI, that Elektrėnai thermal power plant is ready to reduce the cost of power production; Leo LT companies will also have to find reserves for prices reduction. Minister considers that lowered prices should gain force not later than in June or July. The long-lasting argument between Lithuania and Latvia has finally ended – during the meeting Baltic Premiers signed a declaration that anticipates that the electric connection will be laid from Lithuanian coast. Construction works will last about 7 years. A group of experts working in Brussels should present their conclusion on the most appropriate place till June. “We are satisfied with the results of our talks, we signed common declaration that demonstrates our political will within the process of regional energy problems solution”, - said Prime Minister Andrius Kubilius after the signing of declaration. This agreement was also approved by the EC. “I approve this agreement”, - said the EC member Andris Piebalgs. – A new bridge will create conditions for power trade for Baltic and Northern countries. This is a first clear result of the group established in October by the EC Chairman Jose Manuel Barroso”. “After the action plan is approved in EP and CE, the EU will grant more funds for the project”, - proved A.Piebalgs. The EU granted 175 million EURO for the Swedlink project. The money should be spent till the end of the year, and the project accomplishment should begin by 2010. According to preliminary calculations, the project can cost about 2 billion of LTL. Before the Premier Andrius Kubilius said, that it’s worth to create a joint project with Latvia and Sweden. Finnish experience will be of use by the construction of a new nuclear power plant in Lithuania, said Lithuanian President Valdas Adamkus on Friday after he visit of NPP in Olkiluoto. “The experience of Finland will be of great use for Lithuania by a new NPP construction”, - quotes the press-report the words of the President. V. Adamkus noted that the construction of an NPP in Olkiluoto is an example of fruitful cooperation of the state and business. This example also proves the complexity of such projects that should be thoroughly designed especially if this project involves several countries. During the round table discussion on Baltic Sea that welcomed Lithuanian President Valdas Adamkus within a visit to Finland, he expressed regret that the Nord Stream pipeline project has already de facto divided countries around Baltic Sea, reports Presidential press-service. The President also remind about the proposal of Latvian President to lay the gas pipeline along the ground. The proposal of Latvian President on laying the Nord Stream pipeline along the ground gives hope on unanimity of Baltic states in a struggle against the gas pipeline way, that is dangerous for environment. V. Adamkus said that Lithuania suggested and still suggests to discuss alternative projects of the pipeline laying along the ground, such as “Amber pipeline”, that would be more safe and uniting. “We are ready for European dialogue, - stated the President. – I believe that we can find optimal decisions, as alternative energy sources that are gaining significance in Europe or alternative ways of gas and oil supplies”, - said V.Adamkus. Energy monopolist Latvenergo studies the possibility of NPP construction in Latvia writes Diena referring to Baltic Business Service. The Chairman of Latvenergo Board of Directors Karlis Mikelsons stated this to BBS, reports rus.delfi.lv. Mikelsons says that Latvenergo studies this issue, but this doesn’t mean that it plans to accomplish this project. “We examine technical issues – technologies to be used. I would lie if I told that we are planning to finish the project by 2035 or 2045, but still we should consider these matters. We can’t leave them behind and forget about training of respective specialists”, - he stated. The head of Latvenergo also specified that an NPP is the best decision to provide power to Latvia in a long-term prospect. At the same time such a project won’t be accomplished by 2020 or 2030, that is why it’s urgent to accumulate the experience of the specialists in nuclear energy. “The generation of scientists capable to do something in this sphere has almost finished their career”.